← What do the floods tell us about climate change? 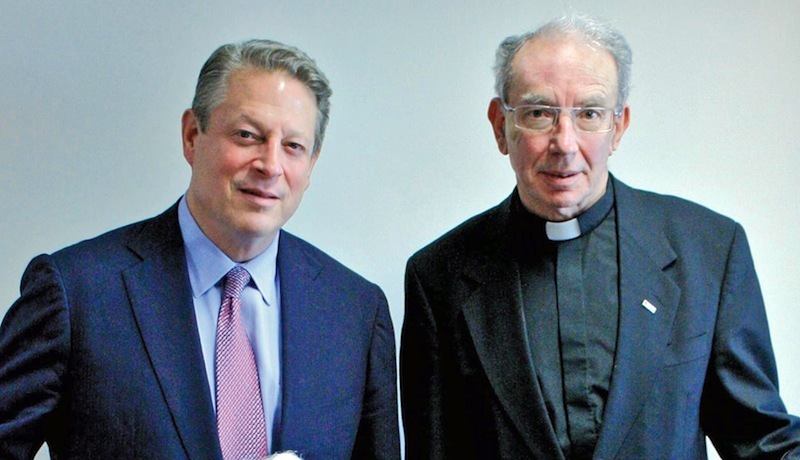 In 2005, before Al Gore’s movie An Inconvenient Truth put climate change on the global agenda, about 300 Catholics gathered in Canberra for a “National Climate Change Conference”. Organised by Colin Brown, executive director of the recently-formed Catholic Earthcare Australia, the conference featured a keynote address by the organisation’s chair, the young, energetic Catholic Bishop of Wilcannia-Forbes, Christopher Toohey. “Rapid climate change as the result of human activity is now recognised by the global scientific community as a reality,” Bishop Toohey told the assembled delegates as he launched Catholic Earthcare’s position paper on climate change, “Our Responsibility to Sustain God’s Earth”. In the US national Catholic weekly America, global environmental activist and priest Sean McDonagh cited the Australian paper as a notable exception to a general global trend in the church to avoid the issue of climate change responsibility. Australian Catholicism was seen as a trailblazer in our age’s most critical environmental challenge, and Christopher Toohey as its standard-bearer. His star seemed well and truly on the rise in November 2008, when the astronomer-priest was hailed on ABC TV’s Compass as “bishop of the universe”. But less than five months after the Compass program, Toohey resigned as a bishop. The official announcement cited ill-health as the cause of his sudden departure, which attracted protests that the church cared little about the needs of his rural parishioners or the environment. Enter Adrian Doyle, Archbishop of Hobart. Having worked alongside Bishop Toohey in fostering and promoting environmental issues in his church, he became the chairman of the bishops’ commission overseeing the work of Catholic Earthcare Australia. More than ten years older than Toohey, Doyle seems an unlikely champion of environmental action, and he’d be the first to say he isn’t attempting to fill the shoes of his dynamic predecessor. As a young Tasmanian priest he was touched by his island’s natural attributes, but his main interests lay elsewhere in his vocation. He was introduced to the idea that his church should get interested in the natural world in his early years on the Australian Bishops’ Conference. Responding to Pope John Paul II’s 1990 call for an “ecological conversion” among Catholics, he gave his support to a push to include ecology in the purview of the Bishops’ Commission for Justice, Development and Peace. Four years into his term as archbishop he visited Tasmania’s Styx Valley where he was filmed among some of the world’s tallest trees for a video production, The Garden Planet. The video spread the word among Australian Catholics that nature conservation and sustainable living were firmly on the church’s agenda. The past decade on the commission has strengthened Doyle’s conviction that the church has a significant role in helping people become more aware of their dependence on their natural environment. A current focus of Catholic Earthcare’s work is implementing “ASSISI” (one of those crafted acronyms; St Francis of Assisi was renowned for his love of animals) — “a strategic systems-based integrated sustainability initiative” seeking to foster more sustainable practices in schools, parishes and church organisations. • This month Australia’s “Ride the Talk” cycling climate advocate, John Knox, comes to Tasmania. Starting tonight in Burnie, he’s riding round the State and talking to community groups the rewards of sustainable living. Click here for details on his program. This entry was posted in biodiversity, biological resources, Catholic Church, community action, consumption, economic activity, education, energy, energy conservation, environmental degradation, human behaviour, leadership, organisations and events, public opinion, religion, social and personal issues, social mindsets and tagged Al Gore, Archbishop Adrian Doyle, Australia, Australian Bishops’ Conference, biodiversity, biological resources, Bishop Christopher Toohey, Catholic Church, climate change, Colin Brown, community action, Compass, consumption, economic activity, education, energy, energy conservation, environmental degradation, global warming, human behaviour, John Knox, leadership, organisations and events, Pope John Paul II, public opinion, religion, Ride the Talk, Sean McDonagh, Senator Christine Milne, social and personal issues, social mindsets, St Francis of Assisi, Styx Valley, Tasmania. Bookmark the permalink.